What is Medium? Or, more importantly, what does it want to be? A growing number of media observers have tried to attack that question, the latest being Alexis Madrigal at The Atlantic, who was ultimately unable to arrive at a satisfactory answer. It is, he said, “a place to read articles on the internet.” Is that enough, considering that description could be used for everything from Reddit to the New York Times? Only founder Evan Williams knows the answer to that — and it’s possible that even he isn’t sure. 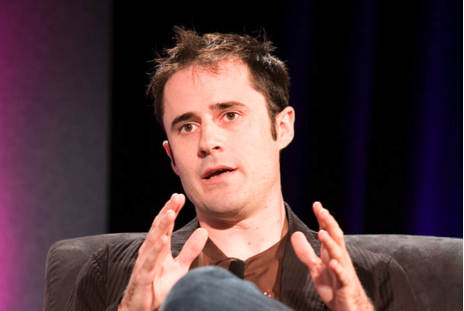 But if Medium is to be successful, rather than just being a plaything for the former Twitter CEO, it is going to have to decide what it wants to be and how it plans to get there. As Madrigal notes in his piece, entitled simply “What is Medium?,” the inherent contradictions — or at least the potential for conflict — in the new service were apparent from the beginning, at least if you were reading between the lines of Williams’ launch post: in it, he described Medium as “a new place on the Internet where people share ideas and stories that are longer than 140 characters and not just for friends,” which sounded very much like WordPress or some other blogging platform. Is it a platform or a publisher? Those two things are both valuable, but they are also very different goals, and they require very different processes and structures in order to get there — and they tend to create very different expectations in their intended audiences. One is simply a platform that allows anyone to publish, and doesn’t make any kind of editorial decisions about what authors should or shouldn’t say, within the bounds of the law: think of WordPress or Twitter, for example. The other is a more magazine-style editorial approach, in which certain things are chosen or highlighted and others are not. Anil Dash, an early blogging pioneer who knows both Medium and Williams well, argues that the Medium founder likes confusing people, but even he admits that the service needs to do a better job about making it clear when it is taking an editorial stance with something (or paying for it) and when it isn’t. Although we agree on that, I think he understates the problem. The reason Medium needs to be concerned about this, if it isn’t already, is that readers of all kinds are reacting negatively to some of the site’s content. One response to this kind of criticism is to say: “We are just a platform, and people can say whatever they want.” But that is a difficult case to make when you are clearly making editorial decisions about who to solicit writing from — not to mention who gets paid and who doesn’t — and what to promote. Deals like the recent one Medium has done with the longform journalism project Epic only serve to muddy the waters even further. Among the most recent pieces that have inflamed critics were a diatribe against San Francisco by a young entrepreneur — which he later claimed was intended to be satire — a proposal to help the homeless by teaching them how to code, and a post by a writer who believed (wrongly, as it turned out) that her family’s Google searches led the FBI to raid her house and interrogate her husband. When the last of those three was published by freelance journalist Michele Catalano, it sparked a minor firestorm because of its shocking allegations — which then turned into criticism of Medium for not verifying the accuracy of her claims before publishing the piece. The company responded to critics on Twitter and elsewhere by saying that Medium was merely a platform for publishing content, but as Hamish Mackenzie noted at Pando Daily, all this did was shine an even brighter spotlight on the service’s split personality. As we’ve written a number of times, if there was ever a shortage of places to put your writing, that has been destroyed by the explosion of publishing tools brought on by the web and social media — if anything, the big problem for writers of any kind is figuring out where they want their content to live: should it go on their WordPress blog, or their Facebook page, or LinkedIn, or Medium, or any one of a dozen other bespoke magazines and platforms? And for readers, the flipside of that dilemma is where should they go to read excellent content, and who can they trust to bring it to them? Medium clearly wants to be part of the answer to both questions, and that’s where the conflict — or at least the potential for it — lies: more than anything, users of all kinds are looking for trusted sources or filters who can show them things that are worth reading. That’s an inherently editorial function, not the kind of thing a platform does. But at the same time, the recent history of media seems to indicate that owning the platform is the route to financial success. How does Medium solve that conflict? Medium isn’t the only one wrestling with that dilemma, obviously. Twitter has also frequently experienced the tension between trying to be a platform for free speech and publishing of all kinds, and the need to both abide by the law and please advertisers as it tries to justify its gigantic market value. It will be interesting to see where Williams and his team decide to draw those lines at Medium. If they’re going to allow people of different ideologies post on Medium, they need to have a way for users to filter who or what topics they can see – on Twitter they just unfollow fools. People have started to enjoy the echo chamber of the internet: if somebody says something you don’t like, go hang out someplace where everyone says what you like to hear. Medium needs to establish this ability to filter if they’re going to stay this kind of open-published web magazine, or else you’re running contrary to the one idea that’s kept magazines alive all this time: branding. Medium either needs to embrace it’s “forum” ideals or it needs to establish it’s editorial voice as a magazine. Sooner is better than later, folks. It’s the modern and up to date version of ‘blogger’ the startup he founded and sold to Google. Medium needs to make things a little easier to enable readers to identify the content they might want to read. I would prefer to see Medium take the editorial route, but not as stern as blogs/magazines. At the end of the day, readers need to be sure that they are getting the best content and writers need to be sure that they will get a decent exposure. Following the examples of Twitter and Flickr, Medium is probably remaining flexible enough to become the thing that’ll succeed. And everybody will forget that it once started as something different.